One of the features included in Facebook Moments is the ability to turn clusters of photos into 'fun' little videos with a backing soundtrack and 'neat' graphic overlays. That sounds fine, in theory, but it falls into the same trap that many other Facebook features do - it assumes that all anyone ever posts on Facebook is happy and innocent. This was recently very aptly (and inadvertently) demonstrated by Josh Gibson. 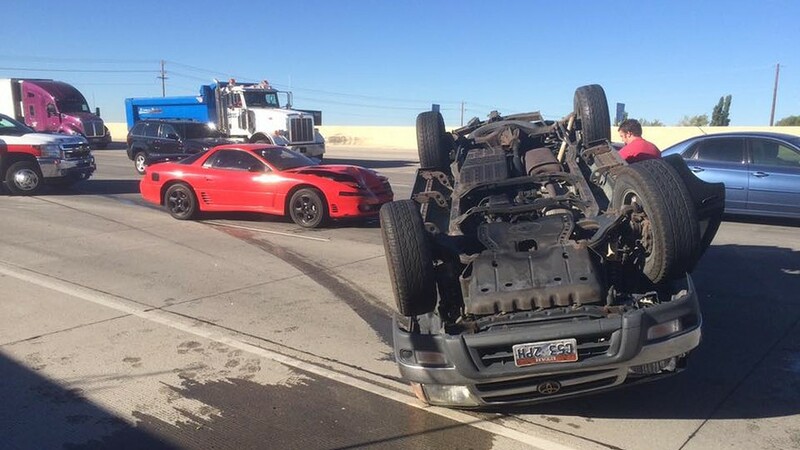 Gibson was recently involved in a decidedly nasty car accident. A red sports car lost control and swerved into his rear bumper, forcing his car into a roll, went over another car and landed on the roof. Miraculously, once his car had slid to a stop, he was able to crawl out with no serious injuries at all. Afterwards, Gibson took photos of the incident, the damage to his car and the two others which were involved, and uploaded them to Facebook. Facebook then promptly turned the slideshow into a video, and threw in all the aforementioned bells and whistles. The result, as you can see above, is a bouncy, cheerful tour of twisted metal and shattered glass. It's like something out of an avant-garde art installation. Initially the video was set so that only Gibson could see it but he felt compelled to share it once he saw what Facebook had done to his near-death experience. This isn't the first time Facebook's unreasonably chipper approach and dodgy algorithms have resulted in something unwittingly bizarre or disturbing. In February, Facebook unveiled the 'Friends Day' video, which automatically assembled a clutch of your friend's profile pictures, photos of you with them and so forth. The problem was, Facebook had no way of differentiating between something worth remembering, and something you'd rather forget. Many people found themselves faced with pictures of exes, former friends and dead relatives. I'm not sure how many times Mark Zuckerberg will have to be told that this whole algorithm approach isn't working before it gets a rethink, but on a more basic level, incidents like these underline one thing: people on Facebook don't just share the happy moments anymore, they share pretty much everything. This imbalance between the broad emotional spectrum of Facebook posting, and Facebook's insistence that everything is dandy and peachy keen all the time is starting to make the platform look positively Orwellian.